St. Petersburg -- Julian Bond, an icon in the civil rights movement for the nearly 50 years and longtime national Chairman of the NAACP, has stepped into a leadership role with the Fairness for All Families Campaign, the statewide coalition effort to defeat the deceptively named "Florida Marriage Protection" Amendment. From his days as a student organizing to end segregation in the South to his current leadership of the NAACP, Julian Bond has been a frontline leader in the movements for civil rights and economic justice. As an activist who has faced jail for standing up for his beliefs, as a veteran of more than 20 years service in the Georgia General Assembly, a university professor and a writer, he has been on the cutting edge of social justice issues since 1960. Bond will serve on the Honorary Board of the campaign to defeat the constitutional amendment, slated for the 2008 ballot that could strip away employee benefits while barring the passage of measures to help Florida families. Bond, who describes himself as a full-time Florida property owner and part-time Florida resident, urged voters to reject the mean-spirited measure by voting NO in November. "It is divisive. It's harmful. It does not bring people together. It drives them apart," said Bond. The NAACP is the oldest and largest civil rights organization in the United States. The addition of Julian Bond to the Fairness for All Families Campaign comes at a time when newspaper editorial boards across the state are actively opposing the amendment and describing the harm to all unmarried Floridians including seniors, public employees and others who rely on domestic partnership benefits to protect their loved ones. 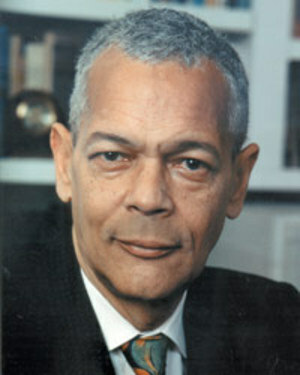 "Julian Bond has long been a voice for fairness and equality and we are proud to have him speaking out against this harmful amendment that singles people out for discrimination and make it harder for Floridians to take care of their love ones," said Barbara A. DeVane of the Florida Alliance for Retired Americans and a member of the Fairness board. Bond serves as Chairman of the Premier Auto Group PAG (Volvo, Land Rover, Aston-Martin, and Jaguar) Diversity Council and is on the Boards of People for the American Way, the Southern Poverty Law Center and the Council for a Livable World, and the advisory board of the Harvard Business School Initiative on Social Enterprise, among others. In 2002, he received the prestigious National Freedom Award. The Fairness for All Families Campaign is a coalition of more than 200 organizations and community leaders representing seniors, business leaders, consumer groups and social justice organizations working together to oppose the effort to take away benefits and enshrine discrimination in Florida's constitution. The campaign's Honorary Board members include: Former U.S. Attorney General Janet Reno, U.S. Representative Debbie Wasserman Schultz; former Department of Elder Affairs Secretary and past AARP President Bentley Lipscomb; Florida NAACP President Adora Obi Nweze; Howard Simon, Executive Director, Florida ACLU; Rev. Nancy Wilson, Worldwide Moderator, Metropolitan Community Churches, Bill McBride, former Gubernatorial Candidate, Mitch Cesar, Chairman, Broward Democratic Party; Joe Garcia, Chairman, Miami-Dade Democratic Party; and Karl Dickey, Florida Libertarian Party Chair. Fairness for All Families is a growing coalition that includes seniors, business leaders, consumer groups and social justice organizations who are joining together to oppose stripping away existing employee benefits while barring the passage of future measures to help Florida families.